THE Chelsea Heights Kindergarten has received a $1 million facelift, with a new indoor learning space and outdoor undercover area among the new facilities opened at the centre on 14 August. 104 year old Ethel Hulls, a former teacher at the kindergarten, was among the guests to attend the opening. 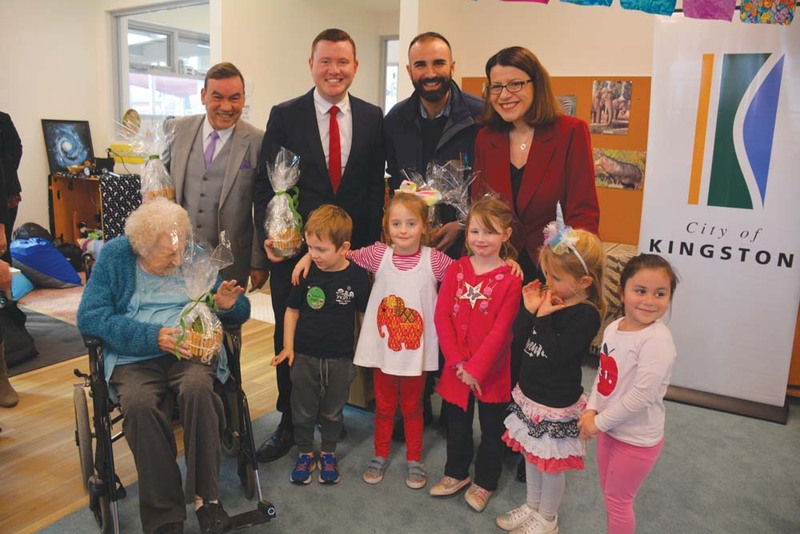 Early Childhood Education Minister Jenny Mikakos and Mordialloc MP Tim Richardson also visited Chelsea Heights Kindergarten to celebrate the completion of the refurbishments. The two MPs then visited Acacia Avenue pre-school in Mentone to signal the beginning of a $2.2 million project to replace their old school building. Kingston Council made a $1.5 million contribution towards the project, which is scheduled to be completed in early 2019. The new building will feature two indoor education spaces and improved staff facilities. The new building will be able to accommodate for 66 children, more than double of the school’s current capacity. “This is a great day for local families, both these kinders will see hundreds of kids through their doors in the years to come and give them a wonderful start to their education journey,” said Mr Richardson.